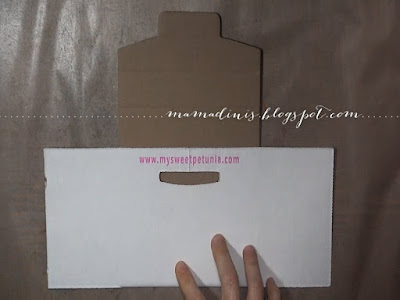 Just a quick review today - Iliana over at My Sweet Petunia sent me some of her new Card Guard boxes! These come in a pack of 6 boxes for $7.50, pre-scored and ready to fold into a safe, card-sized mailer. They're white, so you can stamp on them, too! 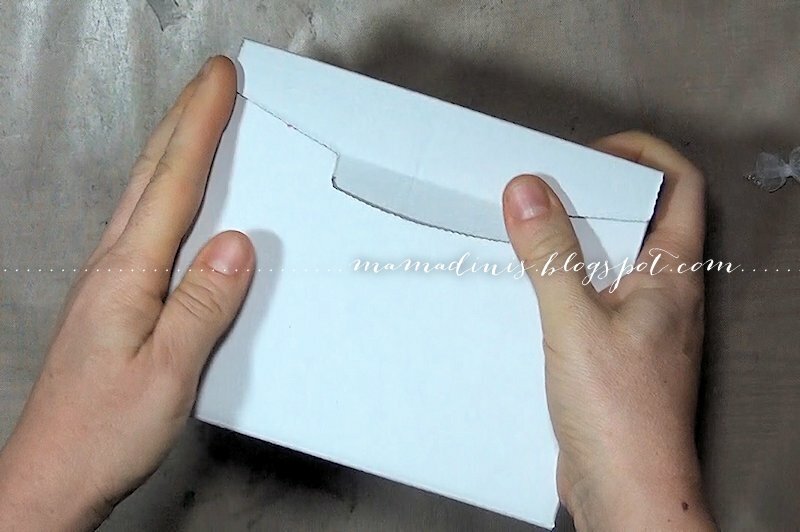 The boxes are intended as a sturdier alternative to a padded mailer for sending more dimensional cards. They are definitely sturdy - I assembled one and filled it, and then put quite a bit of pressure on it to see if it would squish, and it kept its form perfectly. The boxes come flat, and attached in threes. The pre-scored lines are perfectly placed - the sides fold up and in, and the flap folds over, with a sizable tab to tuck in a pre-cut slot. 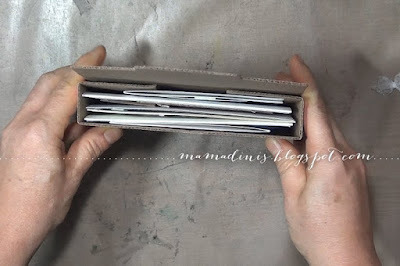 The box holds closed without any adhesive, but for mailing I'd want to add a line of double stick tape across the flap. 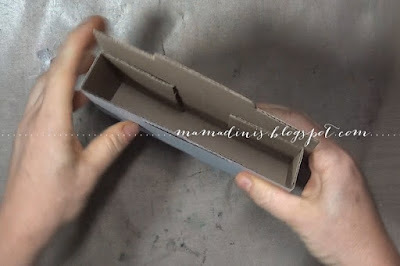 The inside dimensions of the box are 5-3/4" x 4-1/2" x 1"... I noticed early questions about mailing card sets -- the box is sized to fit several A2 cards quite comfortably (I tucked in 6 cards with embellishments and they fit with some breathing room), and it's just big enough to accommodate A2 envelopes, though they'll be a little snug... it's intended to replace the envelope for mailing purposes... so that makes sense. A2 envelopes are 4-3/8" x 5-3/4". 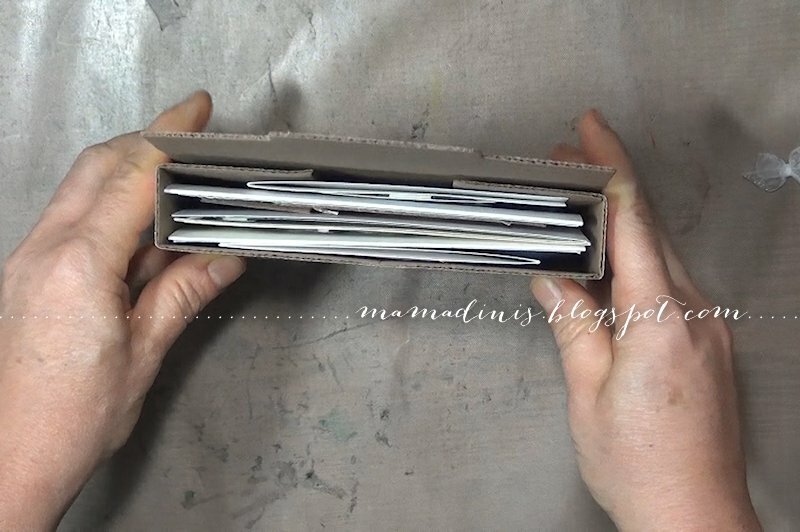 Others wondered about the cost of mailing a card in the Card Guard - the box itself weighs 1.3 oz and a single standard card would put the weight closer to 2 oz - I mail my packages through Paypal, and postage for that weight would be $2.45 - with the 6 cards I tested, the weight was 3.6 oz, which would mail at the same price. The shipping cost is the same as it would be for a padded envelope, but the sturdiness and unbendability of this cute little box is a huge benefit. Hope that information is helpful to you! :) Happy Tuesday! Thanks for the product review. Iliana comes up with cool and practical products. Another item to add to my wish list.